The British newspaper the Telegraph Toffers an obituary of Arthur Walker, a member of the John Walker family spy ring. 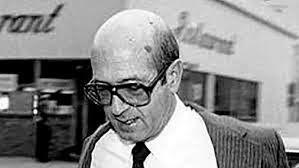 Arthur Walker, who has died in prison aged 79, was the oldest member of America’s notorious “family of spies” — three members of a naval clan who were discovered, in the mid-Eighties, to be handing classified information to the KGB. The trio passed on a huge number of US secrets to the Soviet Union and were described as “the most damaging espionage ring uncovered in the United States in three decades”. The unmasking of Arthur, a retired lieutenant-commander in the US Navy who was working for a defence contractor, and his seemingly patriotic family, shocked America. Before the Walkers — Arthur, his younger brother John (a former Naval warrant officer) and nephew Michael (an active seaman) — were exposed it was thought inconceivable that American citizens, let alone servicemen, would betray their country. Spies were considered to be foreign, not home-grown. And few were as apparently all-American as Arthur Walker, a mild-mannered former officer and father of three who coached a youth baseball team and was president of the local civic league.